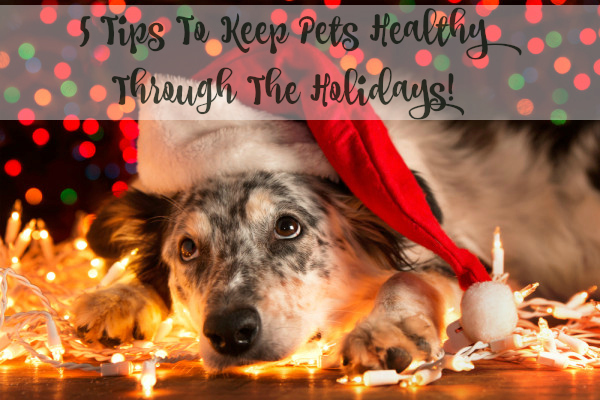 5 Tips To Keep Pets Healthy Through The Holidays! Home5 Tips To Keep Pets Healthy Through The Holidays! We all want what is best for our pets! The Holiday is near and I want to share with you these great tips! Will Post, founder and CEO, Hound & Gatos Pet Foods Corporation has 5 tips to keep pets healthy through the Holidays! Scratch the scraps. Many people like to get their dog in on the holiday food craze, but there are things they shouldn’t be eating. It’s important that dogs don’t consume things like chocolate, nuts, or onions. These things can be toxic to their nervous system, or even lead to anemia. No bones about it. That big turkey leg may look appetizing to your furry friend, but handing them the bones can prove dangerous. Dogs can choke on bones or they can also lacerate their intestines. Skip giving them the bones, as it’s not a risk worth taking. Investigate treats. Most people purchase their pooch a gift at some point during the holidays. Those who will purchase special treats will want to give due diligence to their quality. Opt for ones that have ingredients only from the U.S. to help minimize the exposure to potentially harmful ingredients. Keep exercising. Although people tend to get a little lazy during the holiday season, and especially as it gets colder outside, it’s important that pets still get plenty of exercise. Make a goal to ensure they keep moving and get daily exercise so they stay healthy and don’t pack on the pounds over the winter. Commit to high quality. After the holiday comes the new resolutions that everyone makes. Start early, but resolve to feed your pets only high quality food that has been made with ingredients sourced in the U.S. This will help keep them healthier and reduce exposure to potentially harmful ingredients that may be imported from places such as China. More info about Hound & Gatos Pet Foods Corporation: Hound & Gatos Pet Foods Corporation is an award-winning pet food company that has taken a stand against foreign meat and ingredients being used in the foods. Their ingredients are sourced and processed only in the U.S. so that they can help keep pets healthier and safer. Visit www.HoundGatos.com and discover the difference of premium quality hypoallergenic pet food.